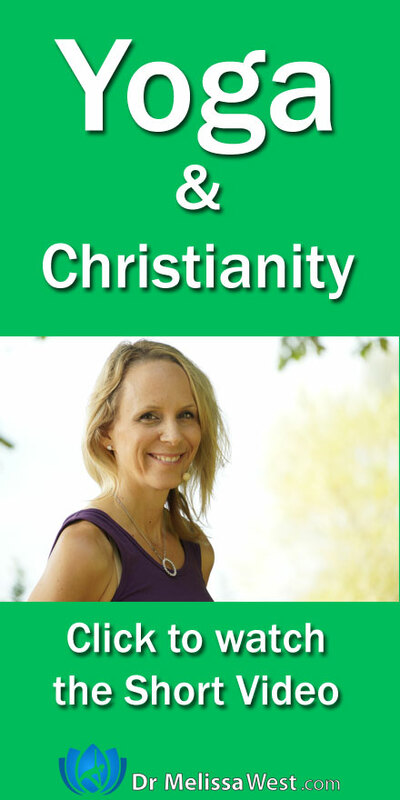 Can you practice yoga and still be Christian? 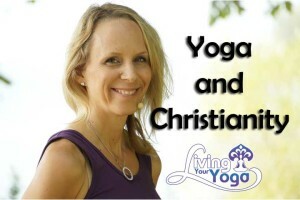 Christians and Yoga? : Today’s question comes to us from email from Meg. Melissa, I’m wondering if you consider yourself a Christian. I don’t consider myself Christian any longer, had resigned to being an Atheist for the past several years, and recently found your yoga classes. I love the personal spirituality they bring to me. I’m just getting started here, but is yoga a Buddhist thing? Or Hindu? Or are those both the same? And as an endnote, can you point me towards some good literature on spirituality/yoga? First of all, here is a previous video blog post I did on my favourite yoga literature. These are great questions. I am actually going to send your question to one of my open hearted graduates from our teacher training program who is a practicing Christian. I was raised Christian, but I don’t practice anymore. I am definitely going to answer this question in one of our upcoming video blog posts, so hang tight. Yoga is not a religion, it has its roots in a Hindu culture, however, there is also a lineage of yoga that comes from a Sikh culture called Kundalini yoga. Yoga is not a Buddhist thing. They are not the same thing. Buddhism is a separate practice that focuses mostly on meditation. However, there is much crossover now between all these practices. Thomas Ryan goes on to say that “Yoga is a way to help us fully inhabit our bodies and begin using them to more fully actualize what God calls us to be.” (pg 145) Furthermore, “To carry the life of God in our bodies is both a gift and a responsibility. “The body is not meant for immortality, but for the Lord, and the Lord for the body,” St. Paul writes in his First Letter to the Corinthians (6:13). The Holy Spirit’s call within us is to use our bodies for responsible living in our work study, devotions, play and all that we do before God. When our central intent is opening to God’s presence through the use of our bodies, whatever we do with them becomes a form of prayer.” (pg. 146). Just as I speak of the importance of intention so often in our yoga practice, so does Tilden Edwards in his book Living in the Presence, “What makes a particular practice Christian is not the source, but its intent. If our intent is assuming a particular bodily practice is to deepen our awareness in Christ, then it is Christian. If this is not our intent, then even the reading of Scripture loses its authenticity.” (pg. 149). How do you reconcile the faith you were raised in and your practice of yoga? Let me know, leave your comments below.